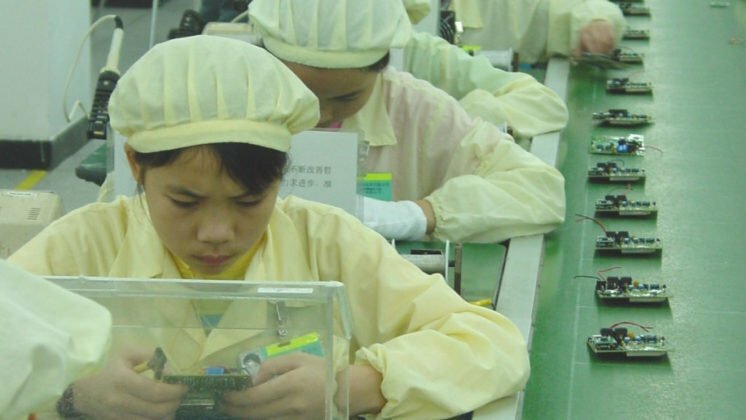 On 29 June, the National Labor Committee released a 30-page report documenting the illegal and harsh sweatshop conditions at the Jabil Circuit factory in Guangzhou, China. 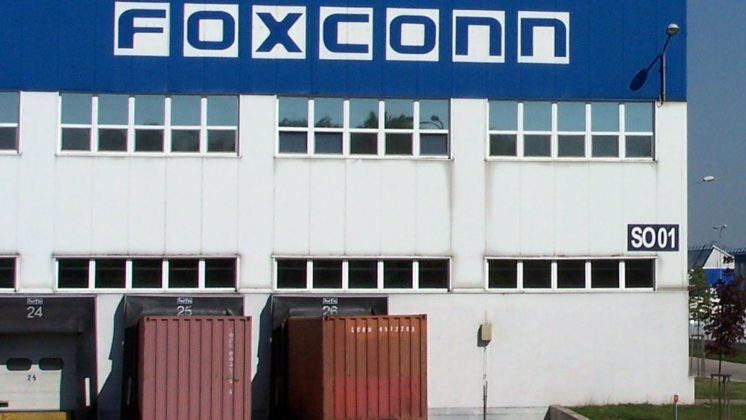 Reportedly, over 6,000 workers -many of them illegal temporary workers- produce hi-tech products for among others Cannon, Cisco, HP, IBM, Intel, Lucent, Nokia, Philips, Samsung, Siemens and Xerox - among whom a number of Board members of the Electronic Industry Citizenship Coalition. The new report includes worker interviews, photographs and company documents smuggled out of the factory. 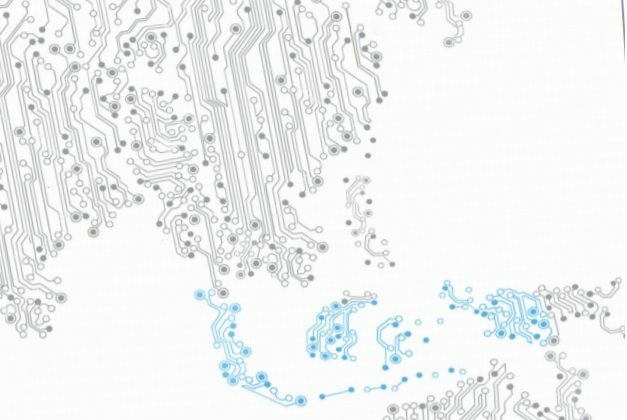 The National Labor Committee (NLC) has released a 30-page report documenting the illegal and harsh sweatshop conditions at the Jabil Circuit factory in Guangzhou, China. 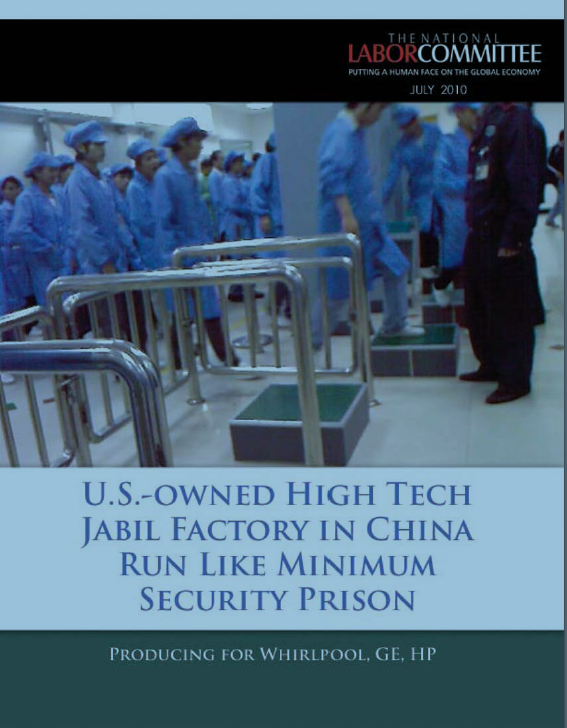 The report, entitled 'U.S.-Owned High Tech Jabil Factory in China Runs Like Minimum Security Prison Producing for Whirlpool, GE, HP', describes conditions at the Jabil factory where over 6,000 workers - many of them illegal temporary workers - reportedly produce hi-tech products for among others Cannon, Cisco, HP, IBM, Intel, Lucent, Nokia, Philips, Samsung, Siemens and Xerox - among whom a number of Board members of the Electronic Industry Citizenship Coalition. The new report includes worker interviews, photographs and company documents smuggled out of the factory. The factory operates around the clock, with two 12-hour shifts, seven days a week. Workers are at the factory 84 hours a week. 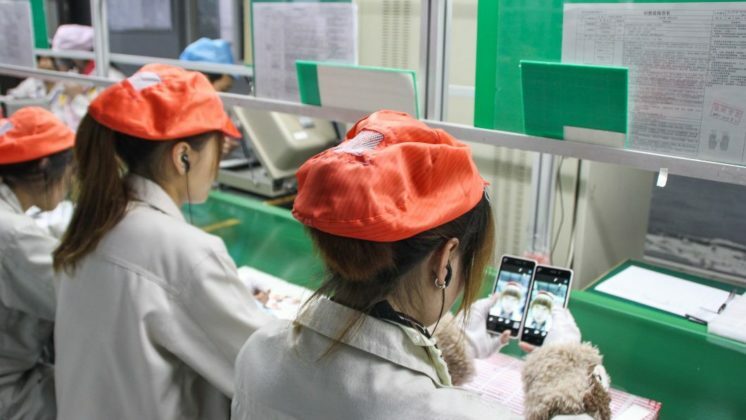 Assembly line workers are prohibited from sitting down and must stand for their entire 12-hour shift. Workers report their necks, shoulders, arms and legs become stiff and sore, and their feet swell up. Workers are allowed to use the bathroom just once in the regular eight-hour shift. Jabil hires a huge number of illegal temp workers and pits them against the full time workers. Security guards and managers patrol the shop floor as if they are police overseeing their prisoners. Workers who make a mistake are forced to write a "letter of repentance" begging forgiveness-which they must read aloud in front of all their coworkers. They can also be made to stay after work-unpaid-to clean toilets. Six workers share each crowded dorm room, sleeping on double-level bunk beds. 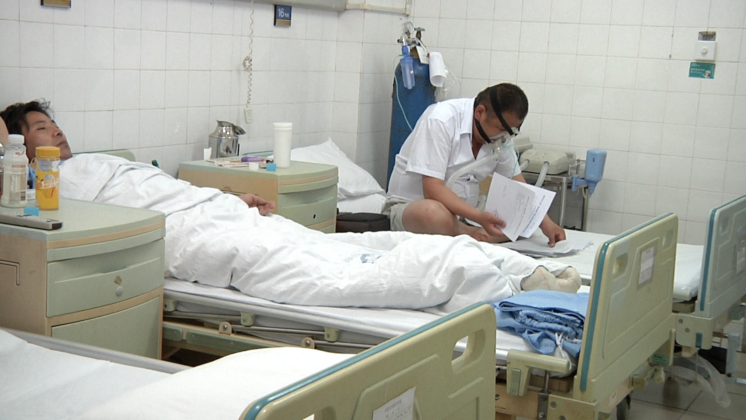 Seventy-five percent of the workers say the factory food is "awful." Workers paid a base wage of 76 cents an hour through April, when they received a 17-cent increase, to 93 cents an hour, which is well below subsistence levels. NLC director Charles Kernaghan asks, "What happened to all the promises U.S. companies made-that if they could set up operations in China, they would, by example, lift human, women's and worker rights standards for China's workers? 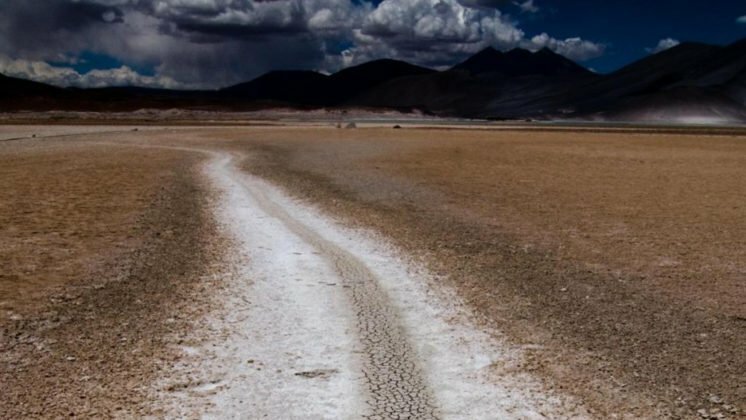 Instead, U.S. companies bought into the 'China model' of exploitation, pitifully low wages, grueling hours, miserable living conditions and zero rights." Kernaghan adds, "Corporate monitoring never works. Five out of eight of the companies on the Board of the Electronic Industry Citizenship Coalition have been producing their goods for years under illegal, harsh sweatshop conditions at the Jabil factory!" All overtime must be strictly voluntary. 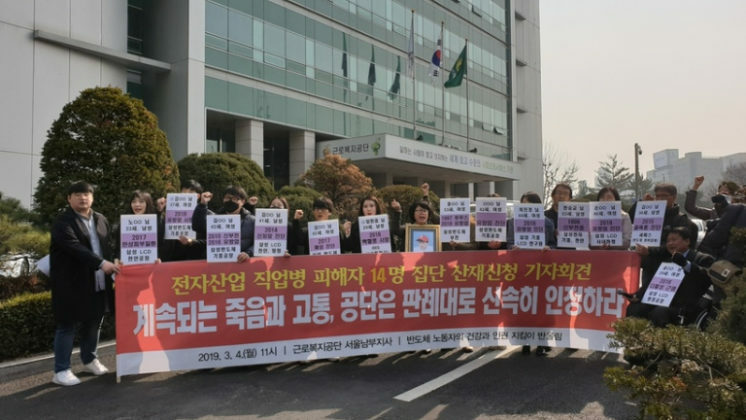 Humiliating treatment, including "letters of repentance" the workers must stop. Temporary workers should be hired as regular full time workers. Workers must have the right to use the bathroom more than once in an eight-hour shift. Assembly lines should be re-fitted so workers are not standing 12 hours a day. 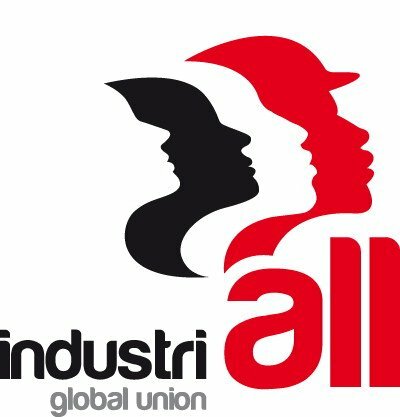 The workers right to organize a democratic, independent union must be respected.